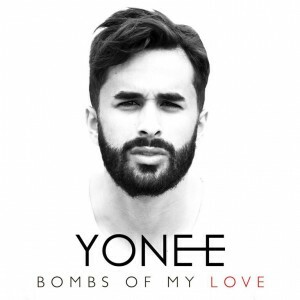 The pop vocalist YONEE recently released his debut single “Bombs of My Love” on iTunes and Spotify. 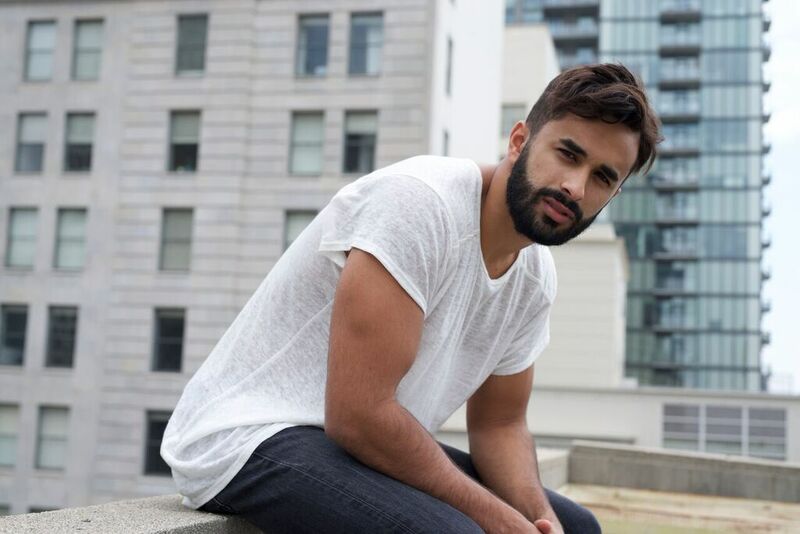 The self-taught producer and songwriter, delivers a pop-dance track with a potent message of unity. Visuals for the track are soon to follow! During the recording of “Bombs of My Love” and as terrible tragedies struck in Paris, San Bernardino, and Yonee’s hometown Orlando, he couldn’t sit idly by and do nothing. He packed his bags and set off to visit the memorial sites. YONEE met with painters to interpret the song’s lyrics through their art form and to discuss how they could use their voice and art to bring positivity and support to others. On his Facebook, he wrote a personal message and released this powerful video: https://youtu.be/xI4sQnQUXJI. Originally from Orlando, FL., YONEE started playing the piano at a young age and years later was a touring DJ while in college at University of Chicago. He further pursued his passion by mastering music production on his own and DJ-ing colleges around the country which included University of Texas, Stanford University, and Florida State to name a few. Now, living in Los Angeles, he’s ready to release a batch of songs infused with his infectious energy and natural positivity. Thanks for your time! Now that we are more than half-way through 2016, what are some words you would use to describe this year? What were some of the highlights of 2015 for you and your music? Exhilarating! Me and my team have been on such an amazing inspiring journey over the last 6-12 months. We’ve worked so hard to get to the point where we could share my music with the world and my vision of bringing people together through love and unity with my single Bombs of My Love! Growing up, did you always want to be a musician? Can you recall your earliest musical memory? I’ve read that you are a self-taught producer and songwriter. How did that happen exactly? Yes and No! I started playing the piano at a young age and my grandparents and uncle were singers so there was music all around me. Singing and writing music didn’t actually come into my life until I was in a boy band managed by Johnny Wright,(NSYNC/Backstreet Boys). The boy band was comprised of 3 singers, drummer and DJ (I was the DJ). I would watch all the singers go through their vocal lesson work tapes and thought that was something I would love to do. I always had all these melodies running through my head. To this day, I still use the same vocal warm up tape that those band members gave me and that was about 5 years ago! Being a self taught producer started when I was in college at the University of Chicago. I started DJing in college and making remixes. I eventually knew that I wanted to make my own music so YouYube taught me a lot! I attribute a lot of my songwriting ability to studying the great songwriters especially pop music today. For example, Max Martin is huge hero of mine. And I truly believe the best writers are rewriters! So if you come up with a melody, you rewrite until its perfect! “Bombs of My Love” is your debut single. Where did the inspiration for it come from? How different or similar is it from the rest of your upcoming music? When I was first composing it, I wanted to create a song that exemplified me as an artist and person in every way: positive, uplifting and energetic! I’m so proud of my upcoming music because it’s so different and brings out other sides of me as a person whether it be a piano ballad, groovy dance track, or soaring anthem! There is something for everyone! I think it’s very touching that you felt the need to visit the memorial sites after the attacks in Paris, San Bernardino and your hometown of Orlando. Can you explain what it was like working with visual artists to interpret “Bombs of Love” lyrics? Then, what was it like putting together a video and message on Facebook? It was extremely powerful. Everyone was feeling the same deep sense of pain that I was. It was very interesting to hear their perspectives through the lens of art and what they could do to help people. The video itself was an incredible process of piecing the parts of the journey and making sure everyone’s voice was heard, whether you were the artist or a victim of one of the tragedies. I’m just super blessed that I have a voice to speak out and a platform to cause some sort of positive change. When can people expect more people from you? Are you constantly working on new material? Constantly! I’m under the “musical school of thought” that you should be constantly writing because inspiration comes from many different places. The new material is coming out within the next month or so! So much awesome new music! I understand that you now live in Los Angeles. With so many musicians living in LA, how do you separate yourself from everyone else? Great question! I think you are only as good as the people you surround yourself with! I am honored to work with great songwriters, producers, and all around great human beings! That’s what I think will make you successful in the long run! I love it! It’s so fun to interact with the people who support you! Where would I be if it wasn’t for people who believed in me! The surprise exists with the amount of talented people that exist in the industry! I didn’t know what to expect! You meet so many people who are so awesome and good at what they do. It’s amazing to see! The biggest challenge so far is to not doubt myself. It’s hard as an artist to put yourself out there, but at the same time, I’m super excited with what we have accomplished so far! I think the easiest part about this is being myself and engaging with my fans. Michael Jackson, Calvin Harris, The Weeknd, Taylor Swift, Ed Sheeran, John Mayer, Avicii, John Legend. Oh my, there are so many talented people I’d love to work with: probably too many to count but I would love to do duets with any of them! I always say that, ‘if i could put one more smile on someone’s face, I’ve done my job.’ I want people to listen to Bombs of My Love and be inspired to coalesce and unify with love. I also don’t want my takeaway to be singular; I want people to be inspired in their own ways so that they can accomplish whatever their dreams are. That’s the beauty of art and music! Thank you SO SO much for listening and I hope to meet everyone soon! An Interview With Grammy Award Winning Musician GRADY CHAMPION!